 ACR to ‘Supercommittee’: No Imaging Cuts in Upcoming Proposals - ONRAD, Inc.
imagingBiz | The American College of Radiology (ACR) today sent a statement to newly appointed members of the Joint Select Committee on Deficit Reduction (Joint Select Committee), urging that cuts to diagnostic imaging services not be included in any upcoming legislative proposal. The statement was sent to the “supercommittee”, as the Joint Select Committee is known, on the occasion of its first public hearing regarding the nation’s challenging fiscal situation. The hearing, entitled “The History and Drivers of Our Nation’s Debt and Its Threats,” included testimony from Congressional Budget Office Director Douglas Elmendorf. A bipartisan panel of 12 members of Congress, the “supercommittee” is statutorily obligated to identify between $1.2 and $1.5 trillion in savings to coincide with an additional increase in the nation’s debt ceiling of a similar value. Should the committee fail to produce a legislative product or Congress be unable to pass the future bill, an automatic $1.2 trillion, across-the-board spending cut, commonly referred to as “sequestration,” will be enacted. Spending cuts enacted through sequestration must be evenly divided between defense and discretionary spending, including cuts to Medicare physician reimbursement rates. The ACR submitted the statement based on the fact that the threat of sequestration and the panel’s broad statutory mandate increase the likelihood that changes to the Medicare program will come under consideration. It contains a formal statement for the hearing record that puts pressure on the Joint Select Committee not to include cuts to diagnostic imaging services in any forthcoming legislative proposal. Within the statement, the ACR also notes that reimbursement for and spending on advanced medical imaging services, including MRI and CT scans, has been dramatically reduced. The statement also includes the society’s position that cumulative effect of the” assault” on diagnostic imaging reimbursement through the legislative and regulatory process, which began in 2005, is hampering the growth of the specialty of radiology and patient access to important, life-saving medical services. Moreover, ACR cites its tireless efforts to combat these reimbursement reductions, which are largely based on little or no data. The society will continue its efforts to educate members of the supercommittee about the importance of diagnostic imaging services within the health care delivery system.